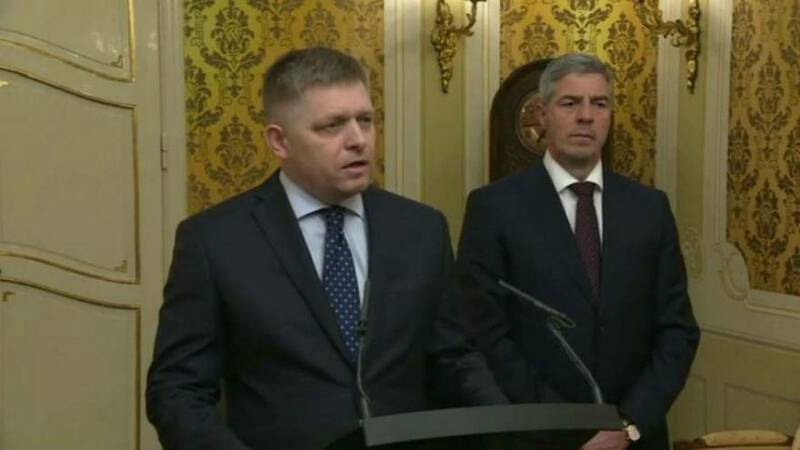 Slovakia's Prime Minister has offered his resignation amid a political crisis sparked by the murder of a young investigative journalist and his fiancée. "The ambitions of one person should not be more important than the destiny of our country, which is threatened by chaos." Jan Kuciak had been idelving into alleged political corruption when he was killed last month, leading to the country's biggest protests since the fall of communism. Nobody has been charged with the murder of Kuciak, who was found shot dead at his home with his girlfriend. The junior party in the ruling coalition has said it would pull out unless new elections were agreed. The next regular ballot is planned for 2020. President Andrej Kiska has called for a government revamp or early elections to rebuild what he says is a crisis of trust.